Opportunity knocks! 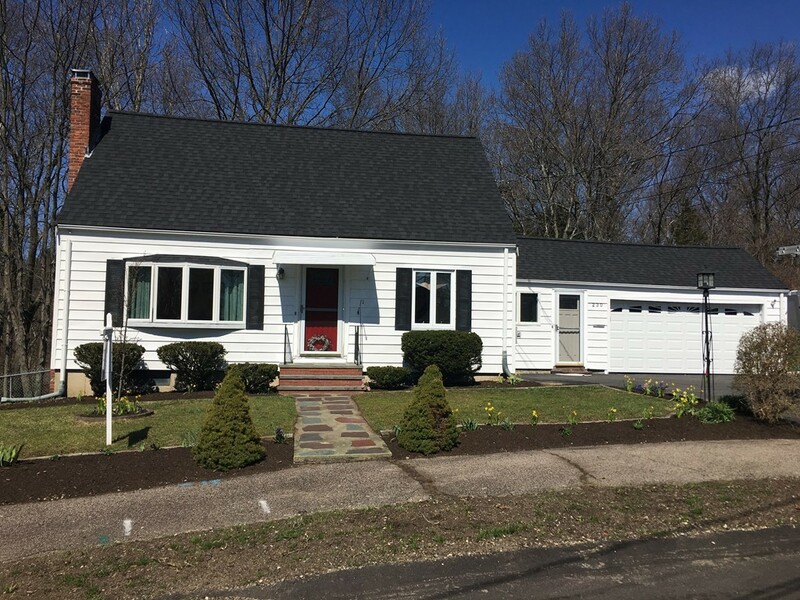 Turn key cape-cod style home in desirable Prescott school neighborhood. One of a kind, well landscaped, acre plus lot! The open floor plan will be appreciated by those who enjoy spending time together as a family and entertaining on special occasions. Remodeled kitchen with granite counters, stainless steel appliances and breakfast island opens to dining area and steps down to family room. Step out to the new deck overlooking a gorgeous fenced back yard that stretches beyond the fence into a wooded landscape that slopes gently down to the Neponset River. Celebrate summertime gatherings, throw bbq's, let the kids or the dogs run free! Gleaming hardwood floors throughout. Living room with fire place and bay window. Modern bathrooms. Full dormer offers spacious 2nd floor bedrooms. Unique pull down attic space for storage. Great basement space. Vinyl replacement windows. Newer roof. Attached 2 car garage. Any and all offers will be reviewed Monday evening. Welcome home!